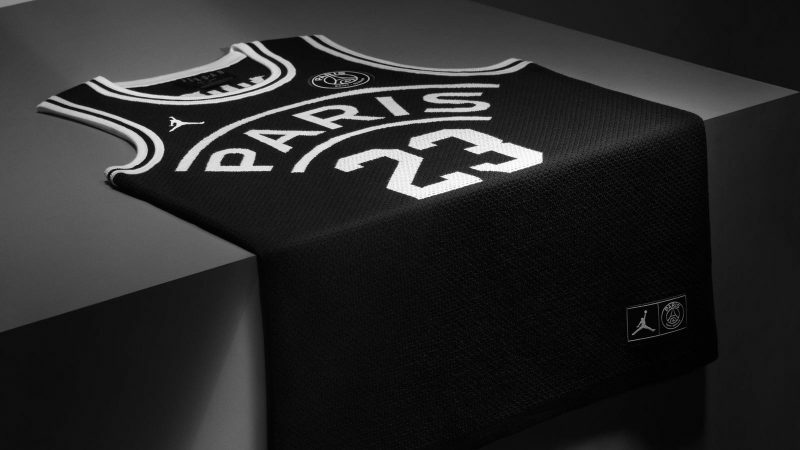 The Jordan Brand x Paris Saint-Germain collection delivers performance and lifestyle offerings, including two special edition match kits, a new PhantomVSN silhouette, footwear and apparel. 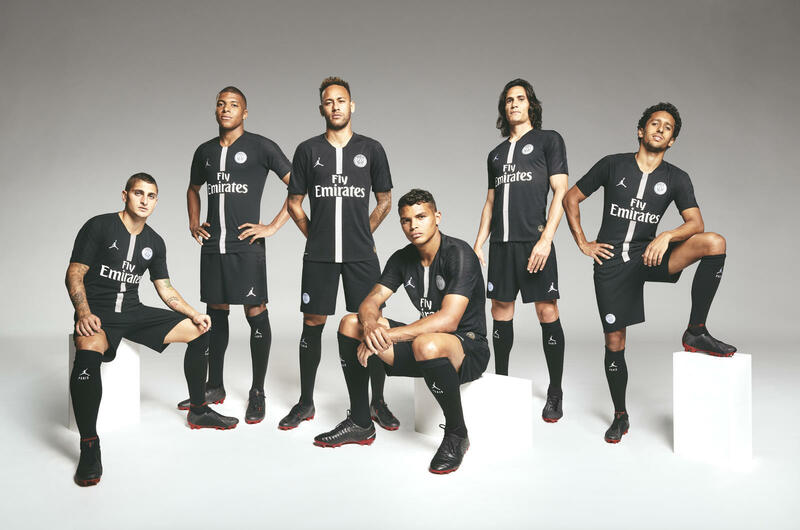 The kits feature Nike’s Vaporknit Match chassis and drops in a clean black and white colourway with red accents that will be used as the club’s third and fourth kits. 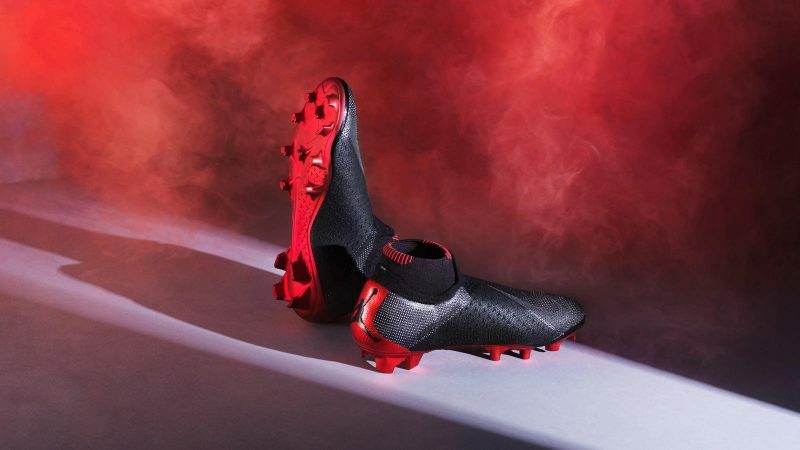 The goalkeeper kit comes in bold Infrared, a nod to one of Jordan Brand’s heritage colors, with the new iteration of PhantomVSN arriving in a black and red colourway with a Jumpman logo on the heel. Elsewhere, there’s a new Jumpman-branded training tracksuit, PSG Air Jordan 5, basketball jersey and a casual off-pitch tracksuit, which complete an extensive range for the Parisian club.